Nutriment Raw, Bulmer Raw, Natural dogs direct bones, Dorwest Herbs, Riaflex, Vintage apple cider vinegar, Coconut oil Golden paste, all natural doggy treats. Can’t fault them , lovely ladies very helpful. I buy my Nutriment and Treats from them but get loads off advice for Free . Friendly and helpful service, very personable individuals who raw feed their own dogs and can give great advice. They’re always happy to open the freezer and show you how the product looks; ours love turkeys’ hearts, though my partner leaves the handling of these to me, but seeing them first enabled us to decide whether to try or not. 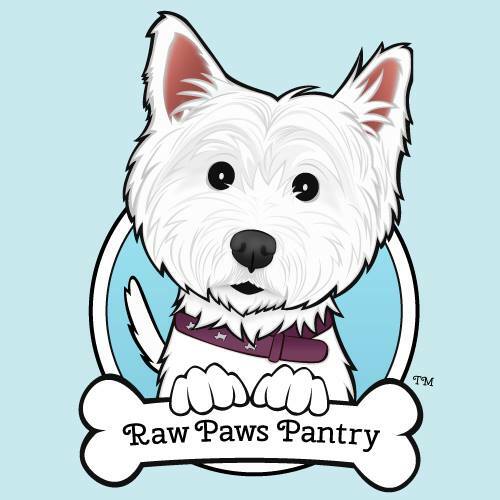 I have no hesitation in recommending Raw Paws Pantry for this healthy option of feeding those four legged members of the family. Great products at very good prices. Personal and reliable service.